There is a lot to consider when you are starting out as an entrepreneur. I am often asked what I would tell myself if I could go back in time and give myself advice before starting my business. Here is what I would say based on the failures and successes that I have experienced so far. There are undoubtedly other business owners in your area that are doing what you would like to do or something similar. Take the time to research their methods, the market, and what they have done to be successful (or what has contributed to them not yet finding success). Reaching out to others who have had a career path similar to the one that you would like to pave for yourself could result in finding a mentor. Having a mentor who you can learn from, ask questions, and be inspired by is a really beneficial step to take if you are becoming an entrepreneur. Most people who build an empire don’t do it alone. Even Oprah looks to someone for advice! It is vital to learn the laws about business and licensing in your area. There can be differences between states, counties, and business types so it is best to seek out the facts rather than going along with what you may hear from someone else. When it comes to businesses, taxes can get quite complicated. It is important to make sure early on that you have a great accountant to work with early on in the process of starting a business. I would highly suggest making a list of questions you have and sitting down with a CPA before you start your business so that you do everything correctly from day one. There are a lot of options when it comes to banking and the benefits for business accounts vary greatly from bank to bank. Shop around to at least five different banks to see which one is the right fit for you. Be sure to let them know that you are considering opening a business account and you would like all the information they have on fees, benefits, and everything in between. Every entrepreneur is different when it comes to a schedule that works efficiently. I have a friend who sleeps for four hours a night, has a different schedule every day, and is doing very well in her field. However, I require eight hours of sleep to work effeciently. I also seem to work best if I have 30 minutes in the morning to relax or meditate before I start work. I also need to schedule my afternoon workout into my day because if I don’t it won’t get done. Maybe you work best if you work out first thing in the morning or maybe you are much better at pitching ideas if you only hold meetings from the hours of 1-4. Experiment and find the best schedule for you and your business. Before I opened my business in 2009, I spent about a year preparing for it. I studied my target market, observed my competition, and saved a lot of money. I worked two jobs during that time so that I could put away money to help transition into owning a business full time. Most businesses loose money during the first year so it imperative that you prepare yourself for that possibility. In most entrepreneurial careers, networking is beneficial. Learning to put yourself out there can connect you with others who can help you or even out you right in front of the people who you need to market to. With the internet and social media dominating the advertising field, it has become more and more important to have a personal brand that people can connect and relate to. For most people, becoming an entrepreneur is rewarding but difficult. Make it easier on yourself by surrounding yourself with positive, helpful, and honest people. It is important to have a support system that believes in you but isn’t afraid to tell you when you have taken a step in the wrong direction. This support group can be make up of family, friends, co-workers, or other entrepreneurs. Believe in yourself and know that you are capable of greatness. You have made it this far and you can actually do this. Put your best foot forward and get busy, Work hard, hustle, and don’t give up. When you have a bad day, a difficult client, or some other kind of setback, remember that you made it this far and your goals are well within your reach if you work hard and surround yourself with the right people. The road isn’t always easy for an entrepreneur but when we look back at the trail we blazed, we know the rough patches have only made us stronger. I’m often asked what the contributing factor was when deciding to open up my own business. Many people assume that I was frightened at the idea of opening up my own business, not having a guaranteed salary, and taking the risk of completely failing. Those people are 100% correct. I was absolutely terrified when I made the decision to start my business but I was also happier than I had ever been. Entrepreneurship always comes with its pros and cons but I have found that the scale tends to lean in its favor. There are many reasons why I love the career path I have chosen. If you are considering opening a small business of your own, you should definitely take the following facts into consideration. I can set my own schedule. It’s true that owning a small business normally means more hours at the office and negative people will love pointing that out to you when you talk about the idea of owning a business. What they won’t mention is that you can set those hours yourself and they will be spent doing something that you love and feel passionate about. Don’t misunderstand me; owning a business is extremely hard work. This is the hardest job I have had by far. The payoff however is working and growing in a field that I love. Creating your own schedule means that you can maximize productivity by designing a schedule that fits the needs of your workday as well as you, personally. If you are not a morning person, you can finally embrace that by starting your day later and working more at night. If you find that you normally feel tired by 2pm, you can plan to take a walk to help get reenergized. I personally start my day at the same time as my husband so that I can normally finish my workday about an hour after he gets home. I also start my day with a short workout because I always focus better after doing a little cardio. There are endless ways to benefit from crafting the perfect workday schedule for to fit your needs. Supporting other small businesses is a part of my job. There are certain parts of my business (aspects of the business finances and graphic design for example) that I no longer do myself. This means that I get to decide which businesses to work with. I love having the opportunity to hire other small business owners because while they are helping me achieve my dreams, I am helping them achieve theirs. I am lucky enough to collaborate with small businesses on different projects. I choose whom I work with and whether or not the project seems like a good fit for that particular business and me. Working with so many kind and talented small business owners is definitely one of the highlights of my job. I decide what I stand for. If I am asked to write a freelance assignment on a topic that I don’t support or someone inquires about me shooting a session that I don’t feel comfortable with, I can just say no. There is no risk that my boss will get upset or that I will cause waves with a colleague because I am my own boss. I never take on a job or a project that I am not 100% in love with. I make the final decision about what is best for my brand, my business, and myself. Whether you are a painter, a graphic designer, or a psychologist, the benefits to owning your own business are endless. If you are willing to put in a lot of hard work, stay dedicated, and not give up on your dreams, then you might be cut out to be an entrepreneur. If you can make it through the dark days, you will see why opening your own business and following your passion is completely worth the risk! This month flew by and I couldn’t have asked for a better March. 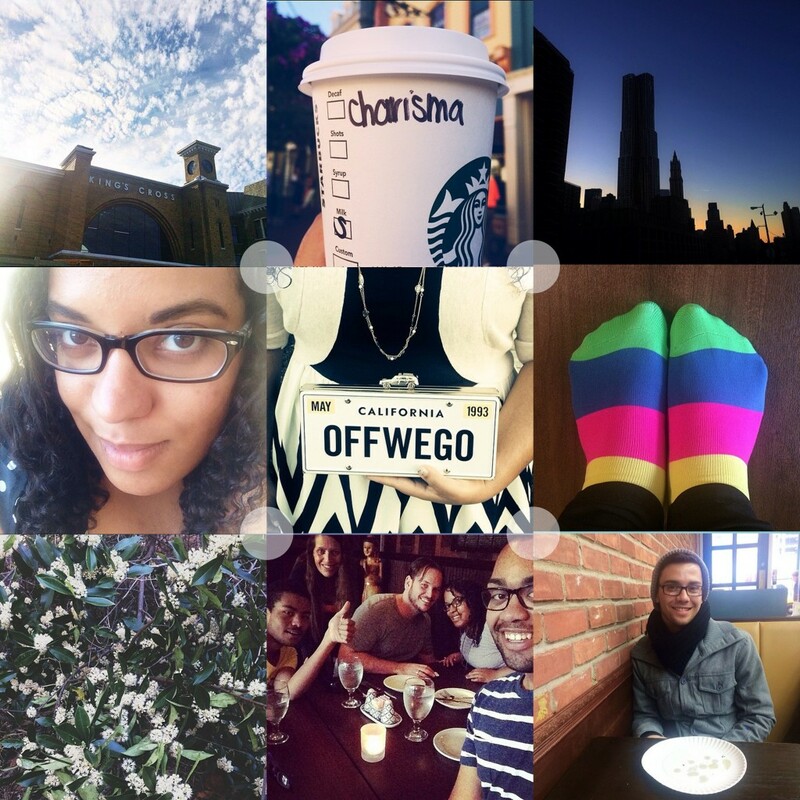 Before we all gear up for an amazing April, here is a look back at some of my favorite posts from the past month. ★Move over, February! March was the month of love here at Charismatic Concepts! I was so happy to share some of my self love journey with you this month on the blog and I can’t wait to continue sharing these weekly challenges with you. ★ Oh, New York. I can never get enough. ★Whether you are working or playing this Spring, I have you covered. ★ Last but not least, a little Disney Magic to send March on its way! Enjoy the last day of March! I have a love/hate relationship with working from home. Not a day goes by that I am not thankful for the freedom it provides to my schedule (not to mention the fact that I can work in my pajamas) but sometimes it can be a real challenge to stay focused and occasionally I even miss having co-workers (gasp!) Whether you are new to working from home or just want to make sure you are using your home office to its best potential, here are some ways that you can make the experience that much better. It can be hard to focus on the task at hand when you are working in a cluttered space. Even worse, a disorganized area may cause you to spend your working hours cleaning instead of getting your work done. 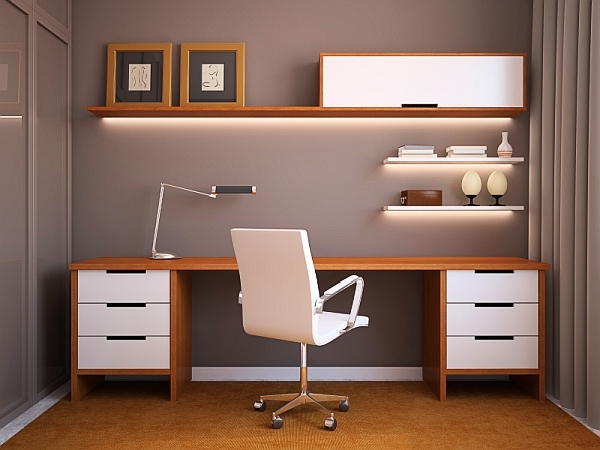 Avoid losing valuable time at work by starting with an organized space with no distractions. As a photographer, it is imperative for me to have good lighting in my workspace. I am often grabbing my camera to try out new skills or photograph various objects in working space. 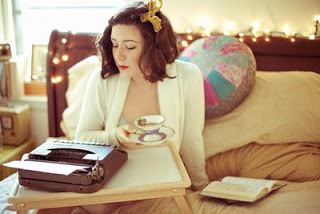 Many bloggers use their cameras in their working space as well to capture crafts, food, or recently purchased items. As a writer, good lighting keeps me alert and focused. Regardless of what career path you have chosen, having a well-lit workspace will ensure that you are focused, awake, and more energized. I try to remember to get up and stretch my legs every 30 minutes or so throughout my workday but even when I remember, I still end up spending a good amount of my day in my desk chair. If you are going to spend a good portion of your day in a chair, you need to make sure it is a good one. If you are going to splurge on only one thing for your at-home workspace, this should be it. Not only do you want to be comfortable throughout your workday, you also want to ensure that you have the proper support for your back throughout the day. Not everyone has the space to devote an entire room to a home office but that doesn’t mean that you can’t carve out a small space to work in somewhere in your home. Even if it is a tiny space, having a dedicated “work space” is very beneficial. Not only will it help you get into more of a “time to work” frame of mind, it will also keep you away from doing things that you should do on your personal time. On the flip side, when you are off the clock, it will make it easier not to start working again which could eventually lead to you becoming a workaholic (trust me I have been there). Having a strong work ethic is important but you need downtime to recharge and refresh your mind and creativity. Piggybacking off of my last point, it is important to set boundaries between your personal and professional life. 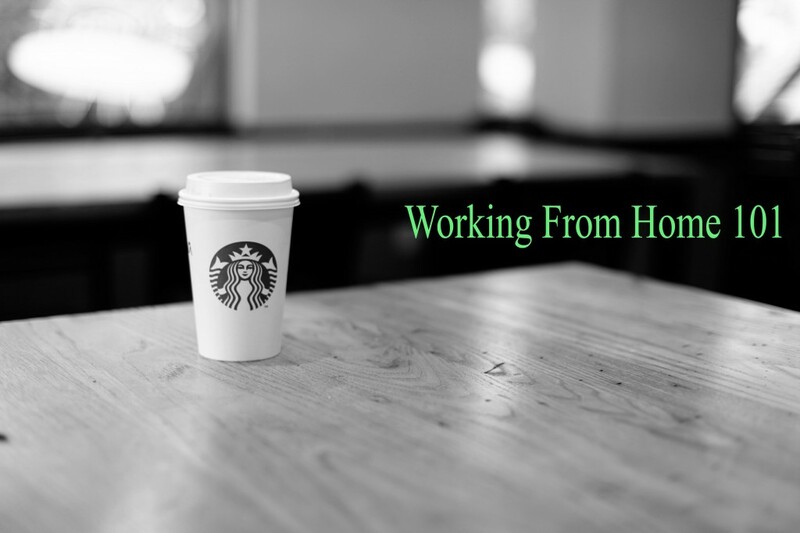 When I first started working from home, I worked around the clock and had very minimal downtime. Working like that for too long will lead to high levels of stress. Establish business hours and stick to them unless you have a business related emergency that needs to be worked on. Make sure to set personal goals every week that need to be done outside of your business hours. For example, every week I Skype with one of my friends who lives out of the state or country, I have lunch with one of my local friends, and I have at least one date night with John. This ensures that I have time to relax and enjoy other parts of my life, besides my business. I hope these ideas help you as much as they have helped me. If you have any tips to add, let me know! Also, let me know how your workday improves after you establish these ideas into your daily work schedule.